Bring your dog to Lavender Lodge. These are the reviews for Lavender Lodge. There are 38 reviews. fantastic location, very clean and warm lodge. Lavender Lodge is a wonderful place to spend a holiday. It is very warm and comfortable with every facility which could possibly be needed. Even when it poured with rain, the sound of the rain on the roof was wonderfully comforting and made the Lodge feel even more snug. Because there is no light pollution, the stars at night are brilliant, and fascinating to look up at. The surrounding area is beautiful and the Village Shop is a wonderful place to visit, with old fashioned courtesy and service. Altogether, it is a great place for a holiday. Lodge was fantastic everything you needed was there and owners were very friendly and helpful and added some nice touches for our Christmas break. Excellent accommodation, great location, very peaceful, yet all you need nearby. Lovely welcome pack on arrival. Had a lovely relaxing week at Lavender Lodge made even better with a welcome pack and great weather. Spotlessly clean with everything you need. Great base to explore Somerset, hope to return one day. Loved the lodge, the decor and the peaceful country setting. A good location to explore both Somerset and Dorset combining coast and city days out. The owner was also friendly. 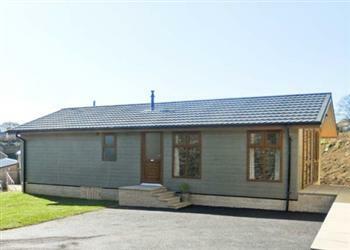 A lovely lodge in an immaculate setting with very friendly & helpful owners. There are several National Trust properties in easy reach, and great walks for the dog. This cottage was very well taken care of. It is in a good position for visiting Dorset and Somerset. The cottage was very suitable for our dog. This was a warm and cosy lodge in a lovely setting. We liked the wood-burner to sit beside and the convenience of the en-suite bathroom. The power shower was fantastic! There was excellent WiFi and we found the owners to be friendly. There were lots of things to do in the area.. The Lodge was deceptively spacious, it had a lovely light and airy living area and both bedrooms of a very generous size with plenty of cupboard space. Anyone wishing for peace and quiet could not find a better place to be, even though within a few hundred yards of the village centre. All the local people were very helpful and friendly. Could not fault anything. The cottage is in an ideal location for exploring Somerset, Devon and Dorset. It is in pristine condition and well equipped throughout. The hosts were very friendly and helpful. Very welcoming hosts and the lodge is perfect - exactly what we want. The Lodge has everything you need to make your stay very comfortable. We really do enjoy our time here and will now make it at least an annual holiday for us. A warm, bright bungalow with everything you could possibly need. It was a very short walk to the village amenities and in a good central location for touring the area. Lavender Lodge was a lovely place to stay, so homely inside and very cosy, and the area was very quiet which we enjoyed. The Lodge was very clean modern and homely. The village it is set in is a dream! Surrounded by rolling hills it is small, quiet and quaint with a magnificent village shop and pub. The cottage was very clean, warm, comfortable and fully equipped. A home from home and probably the nicest we have ever stayed in. The owners were friendly and very helpful supplying us with lots of local knowledge. A beautiful and well equipped lodge, in a pretty and quiet village. The owners were very helpful, chatty and readily available. The lodge was very comfortable and well sized for 4 people. The lodge is situated in a lovely quiet location in a little village but is close enough to many large towns in both directions, if you wish to travel further afield. The owners were very helpful and friendly without being imposing. Would not hesitate to recommend to friends and family and would like to visit again someday. Location was great as a base, property had really nice contemporary fittings and nice owners. Pub was AMAZING, great staff and food and it was very close as was the shop. It was nice to have 2 bathrooms. We were given a warm welcome with the added bonus of a starter pack. The location of the property was superb with the whole site landscaped and maintained to a very high standard. Village amenities were on the doorstep with excellent General Store and Hotel/ Pub. Owners were very friendly and helpful. The lodge is warm, comfortable, spacious and well equipped. It is set in a wonderful rural location in a lovely small village. Beautiful accommodation in a lovely village. Lavender lodge was like a home away from home. We thoroughly enjoyed our stay, and it was in an excellent location to explore the area. We had a great time, and were made very welcome. The Wi-Fi worked well. The local Pub was perfect, and the village shop well stocked. The lodge was spacious and plenty big enough for the five of us. It was clean comfortable and we had the warmest of welcome. Shop and pub close by, but the surroundings so peaceful, we could feel ourselves unwinding from the moment we got there. Excellent. The attention to detail was excellent, and the quality of the lodge overall something to be proud of, and we would return one day. The Area was beautiful. The lodge was lovely, more spacious than we thought it would be. Great location for getting to places and really enjoyed it. Although we were only there for 3 days, the experience and together with the closeness of the village facilities was fabulous and we cannot wait to go back for a much longer period next time. We have already told work colleagues and family of this little part of paradise. Lovely cottage, it was spacious and clean and everything we could ever have needed was provided. Nice village setting with an excellent shop and pub just seconds away. Owners were very friendly and on hand if needed but never intrusive. The layout of the site meant that the cottages felt suitably isolated from the owners house. The cottage was very dog friendly which is essential for us. Great peaceful area with easy access to Somerset, Dorset & Wiltshire. Only one minute walk to the park for our dog. Fantastic starry nights as no light pollution. 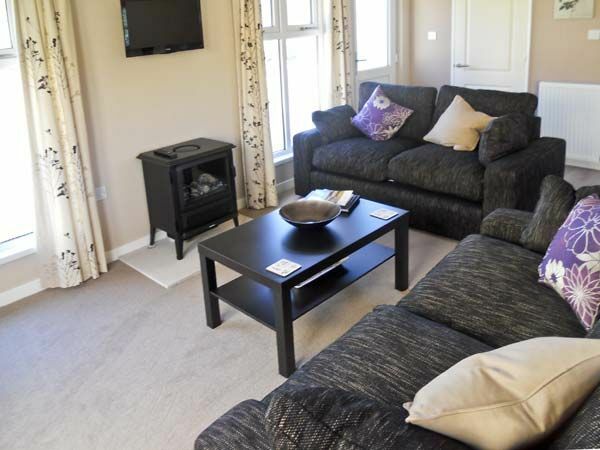 The Lodge is clean, comfortable and has lovely finishing touches. The facilities were good and it is just a short drive to many interesting places. If you're looking for other cottages around Lavender Lodge, we've got some cottages below which may take your liking. There are 24 cottages within 5 miles of Lavender Lodge - and they have reviews too.